OMG Posters! 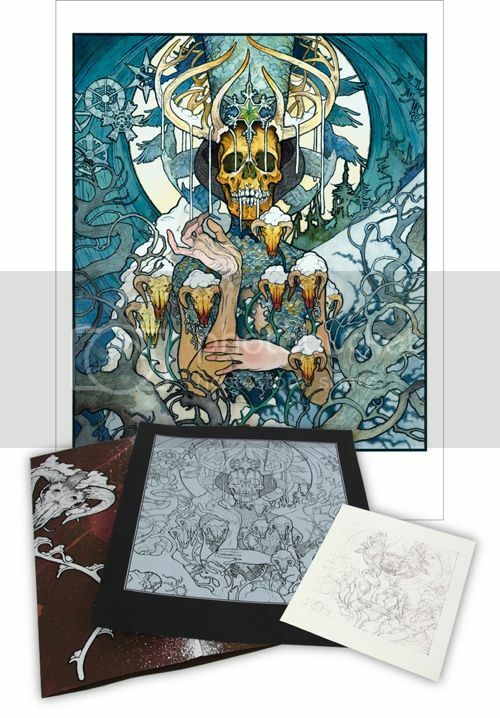 » Archive "Beyond The Permafrost" Art Print by John Baizley (Onsale Info) - OMG Posters! Burlesque Design will release this STUNNING art print by John Baizley in just over an hour. 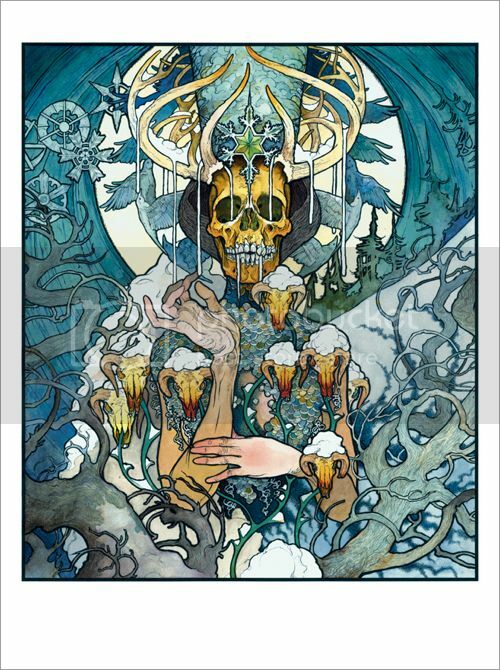 “Beyond The Permafrost” is a 23.5″ x 31.5″ thirteen color screenprint, has an edition of 181, and will cost $139. 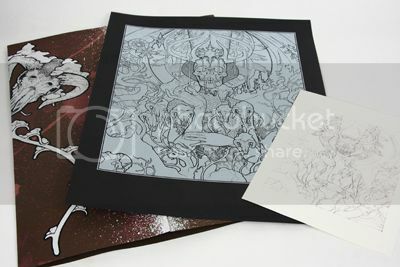 There will also be a deluxe edition offered, which adds a 16″ x 20″ screenprint of the line art and an 8.5″ x 11″ giclee of the original sketch. These are packaged in a portfolio, limited to 60, and will cost $215. Everything goes up today (Tuesday, December 4th) at 2pm Central Time. Visit BurlesqueDesign.com. Wish I had the funds for this one. Baizley is my favorite. I will have to get Yellow & Green when they release that though. Binky, get yourself on the BRLSQ newsletter. They’ve been talking about this for over a month. Will do Alex. Thanks for the tip.